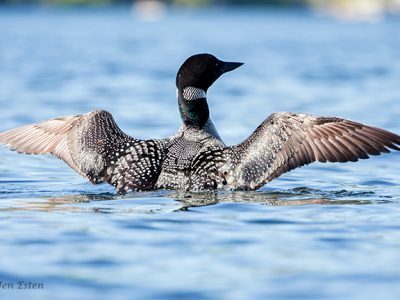 As Pleasant Lake turns toward the Fall, we have good news for the merganser family. All four chicks are looking healthy and still with their mother. They have been exercising their wings and taking short flights around the lake. Precious Kittie has also been practicing flying and is spending more time alone. Precious Kittie is now just over 12 weeks old and becoming quite beautiful. Here's some pictures of what she was up to in her 11th week of life. Both parents are still taking care of her. 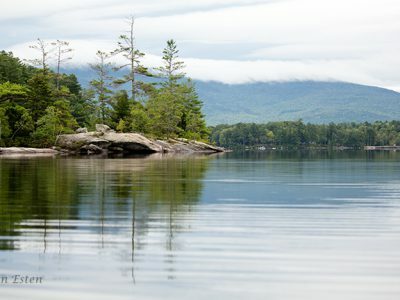 Signs of autumn are visible on the lake. 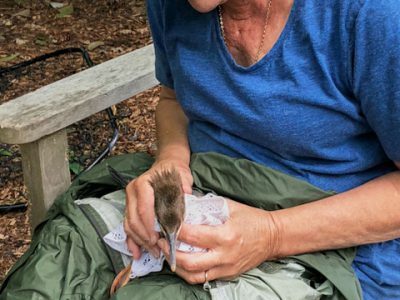 With help from a dedicated wildlife biologist, John Cooley, senior biologist at Loon Preservation Committee, we were able to locate, catch and remove the hook and leader from the young merganser on Friday 9/7. 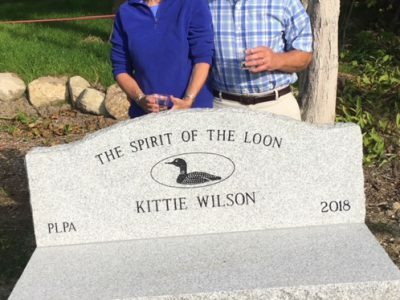 On Saturday, September 1st, there was a ceremony at the dam in Elkins unveiling the granite bench that PLPA had installed as a tribute to Kittie Wilson and her years of service to Pleasant Lake and our area in general.